Mordovija - Yubileyniy Stadium 15.07.2015: One of the stadiums, which will provide venue for the 2018 World Cup, is the future home ground of FC Mordovija Saransk, the Yubileyniy Stadium. However, as both the representatives of FC Mordovija and Russian authorities have agreed, it is necessary to continue with the construction works at a more rapid pace. Since 2013 works have not progressed much at the new stadium, though the construction should be completed in 18 months. The Yubileyniy Stadium was first designed in 2010, and after the design had been changed several times, construction works began in 2011. The stadium is located on the eastern outskirts of Saransk, a small Russian town. 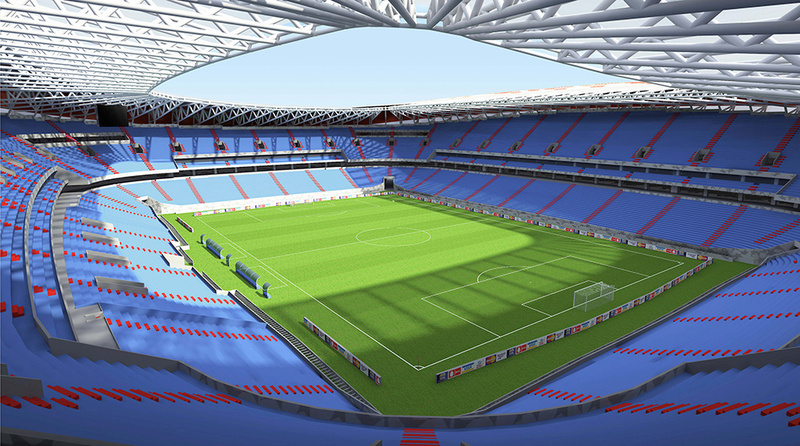 It will have a capacity of 28,000; however, it will be increased to 45,000 seats for the World Cup matches.